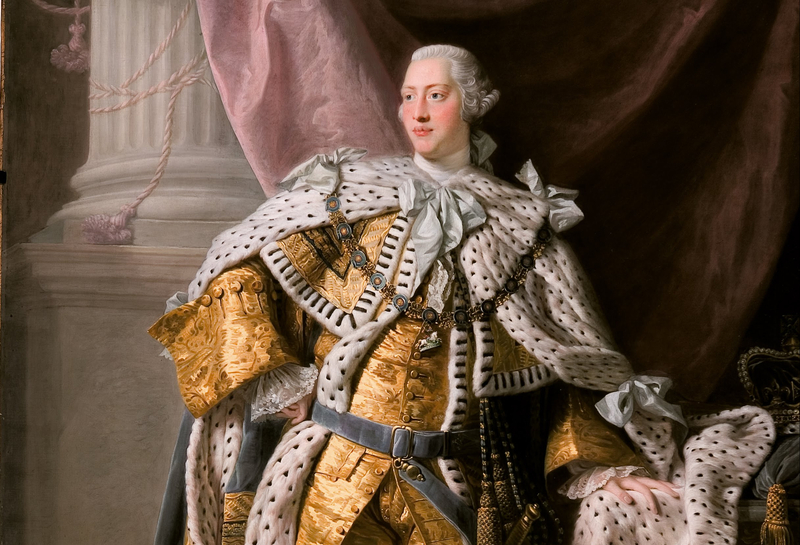 He was the King of the British Empire when the Thirteen Colonies began the American War of Independence. 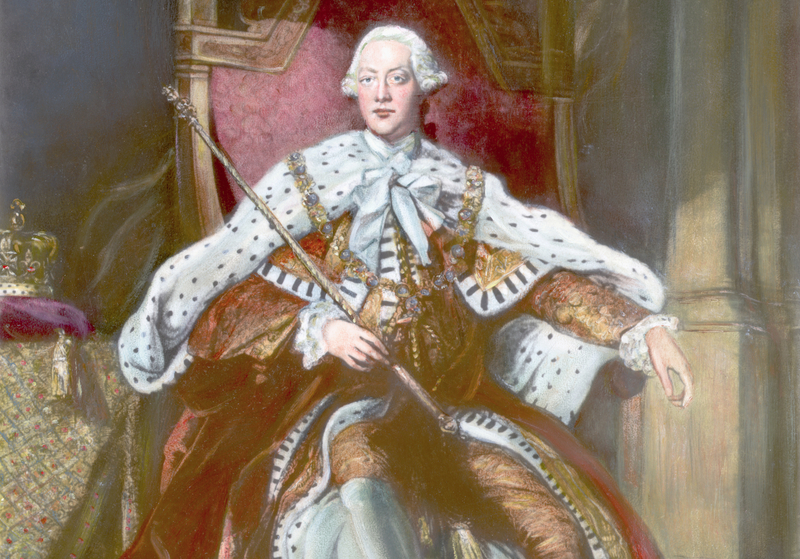 Being the leader of their enemies, the Americans have villainized George III then and ever since. 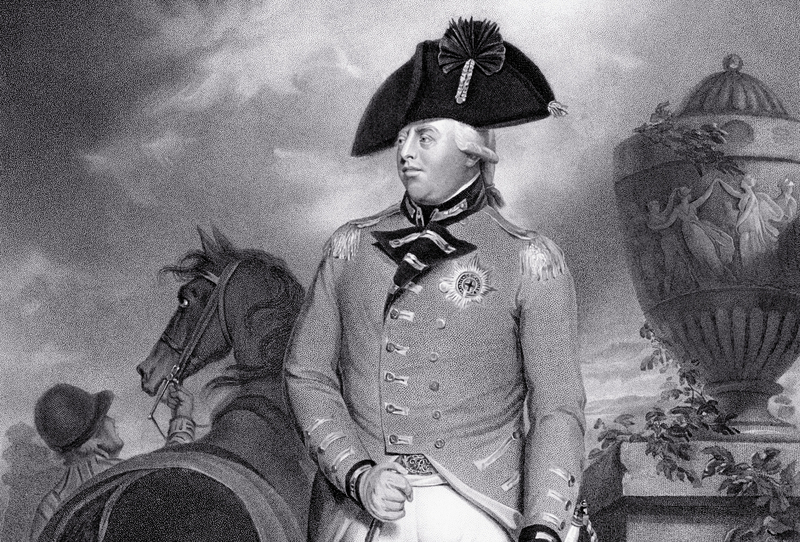 Even the British jumped on that bandwagon, and George III was made into “the scapegoat for failed imperialism.” But we’re here to lift the veil of legend from the supposed “Mad King George” with these 43 forgotten facts about George III. 43. Did He Try Communicating in Entish Too? One of the more extreme stories involved George confusing a tree for the King of Prussia and trying to shake hands with it. The man who bapitized George (twice, but more on that later) was named Thomas Secker. He would also baptize George’s elder son in 1762. Secker was, by that point, the Archbishop of Canterbury. Now that’s moving up in the world! 41. Where’s Bill Nye When You Need Him? 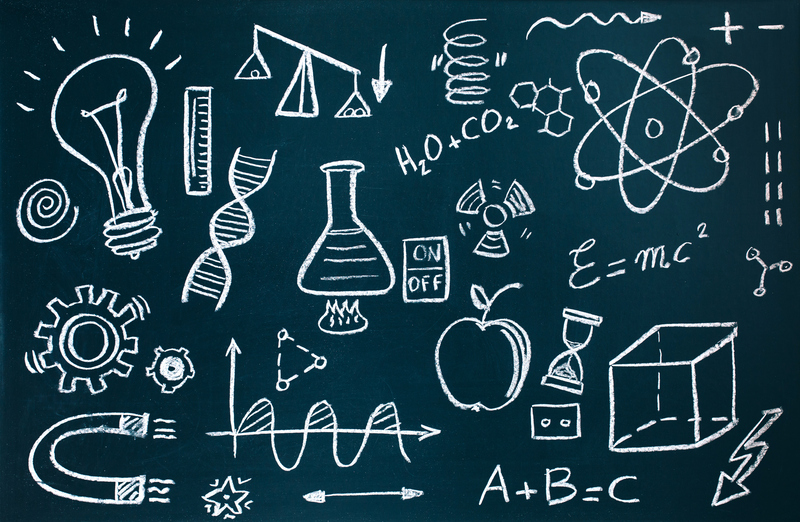 As a child, George was made to study such scientific subjects as physics, chemistry, and astronomy. 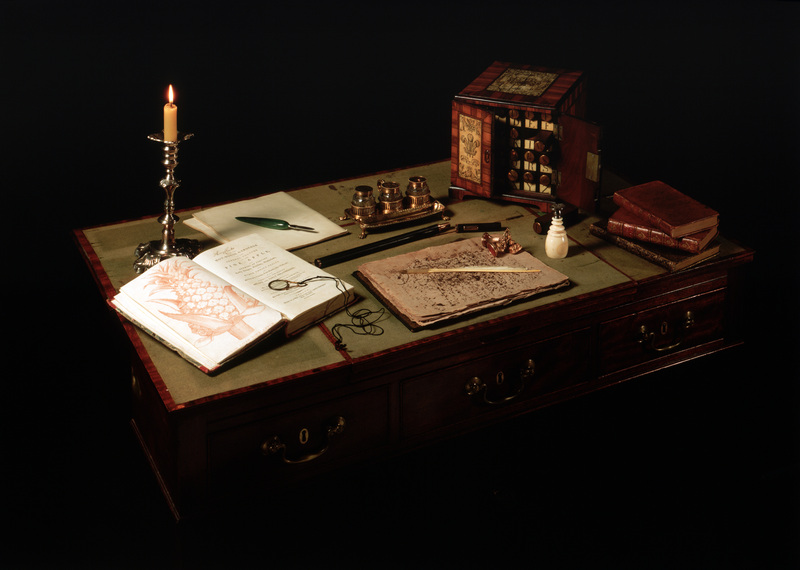 This marked the first known time that a British monarch systematically studied science. 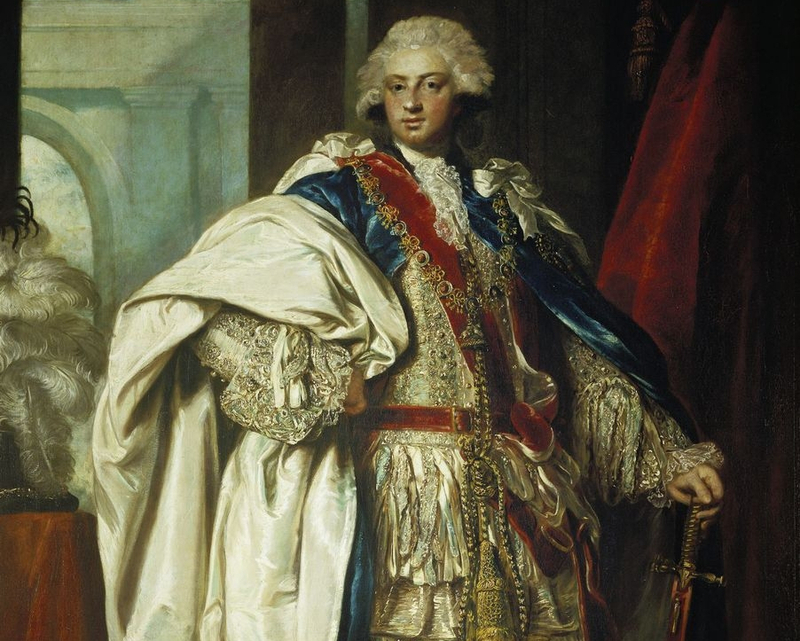 George III was the son of Frederick, Prince of Wales and Augusta of Saxe-Gotha. 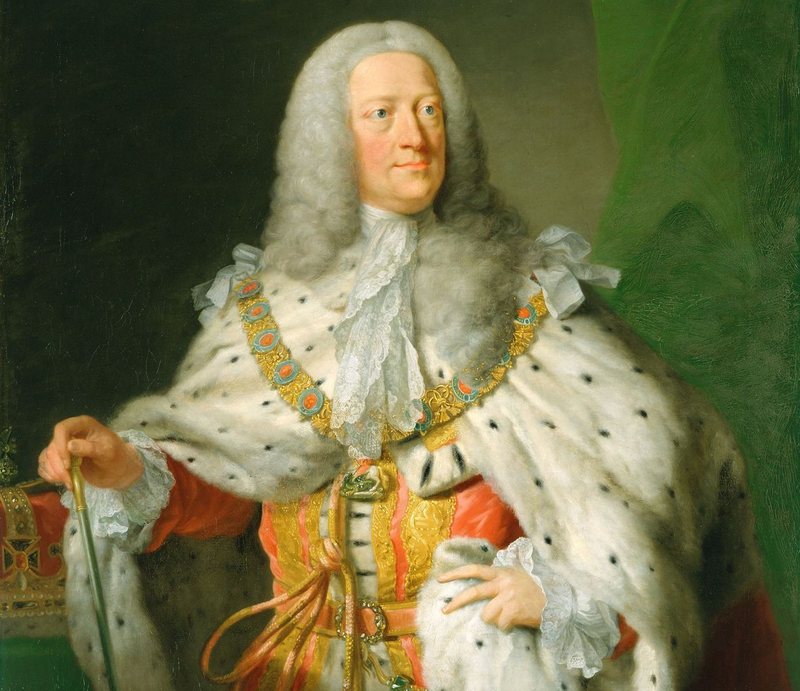 His grandfather, George II, was very distant from George, and outright disliked Frederick. Things changed in 1751 when George’s father died of lung cancer and George II tried to give the new Prince of Wales a palace to have for his own. George refused his grandfather’s offer, however, preferring to stay with his mother instead. 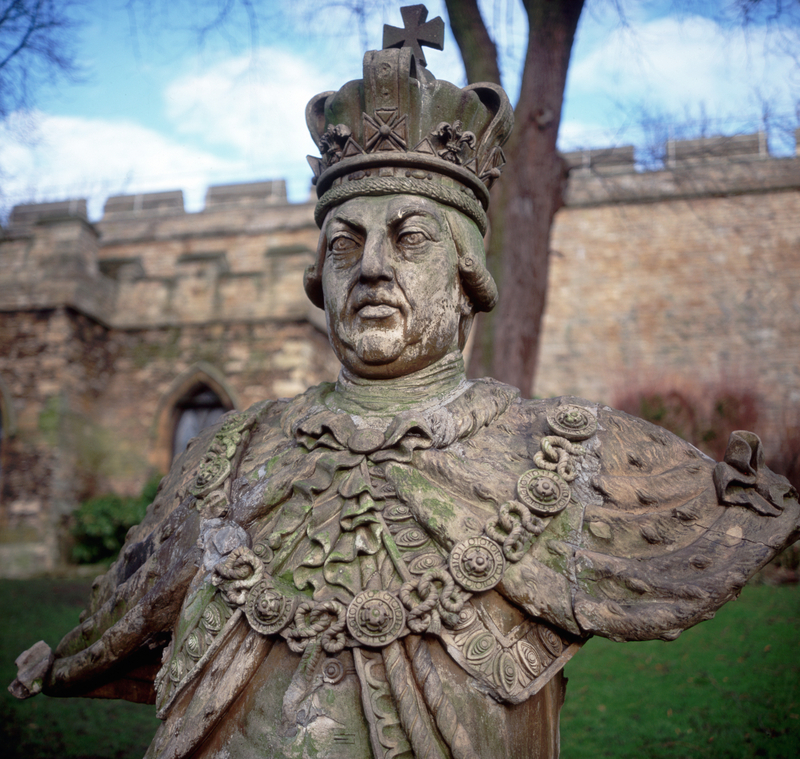 George’s reign as King of Great Britain and Ireland lasted nearly 60 years. That’s longer than any of his predecessors ruled the same territories. Of course, that record has been trumped since his reign by Victoria and Elizabeth II, but it’s an impressive run regardless. During his early life, George was guided by his mother and her close confidant, Lord Bute. 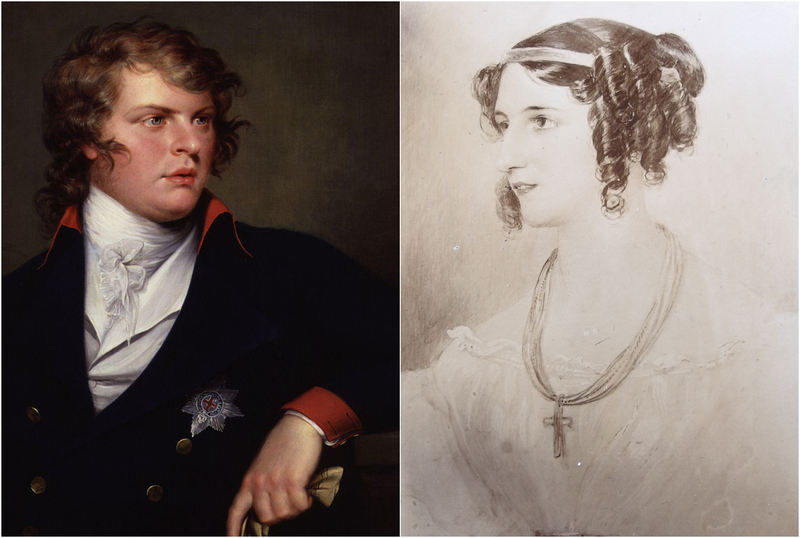 Bute even advised George to forget about marrying Sarah Lennox, the Duke of Richmond’s sister. George, who had been deeply in love with Lennox, later wrote that as a royal, he would have to “act contrary to [his] passions” for the good of the realm. 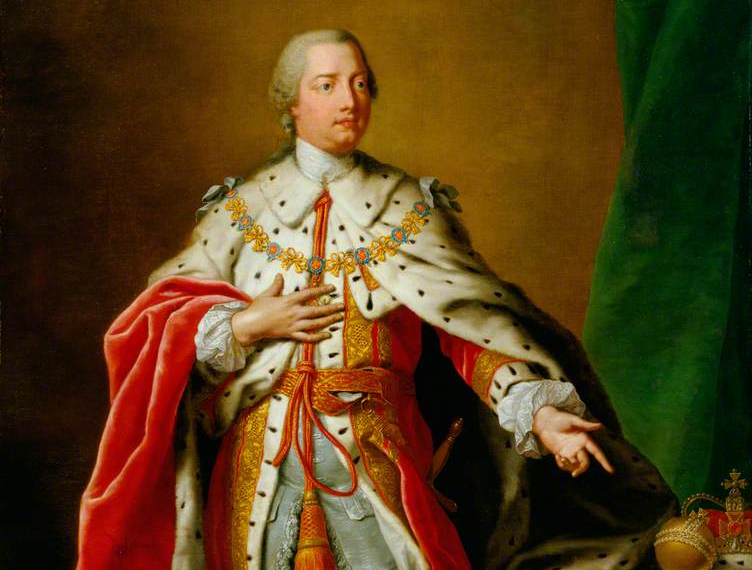 George was 22 when his grandfather, George II, died on October 25, 1760. However, George wasn’t crowned until almost a year after that. 36. Nice to Meet You! 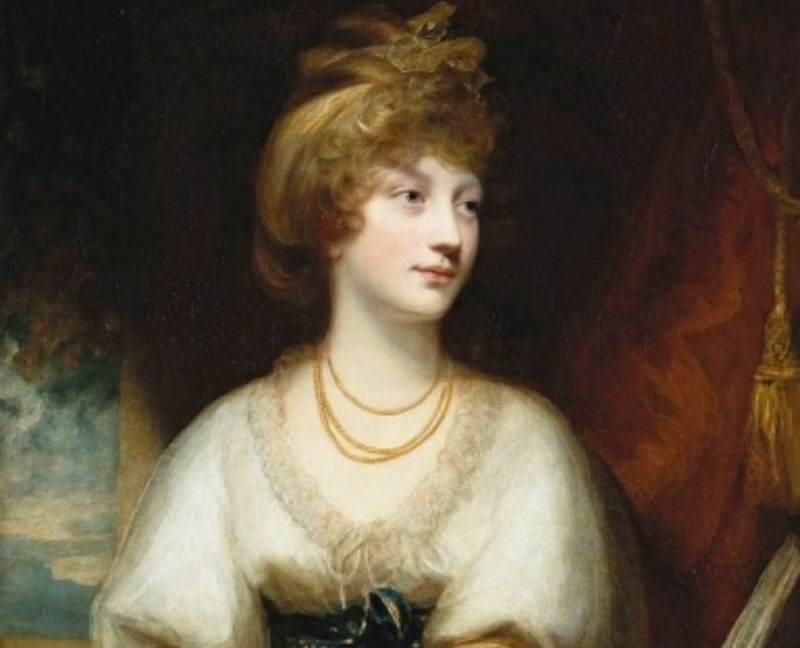 After several potential brides were turned down for one reason or another, George eventually married Princess Charlotte of Mecklenburg-Strelitz. Incredibly, the first time the two ever spoke to each other, or even laid eyes on each other was their wedding day! In 1762, George bought property for himself and his new family to live on. 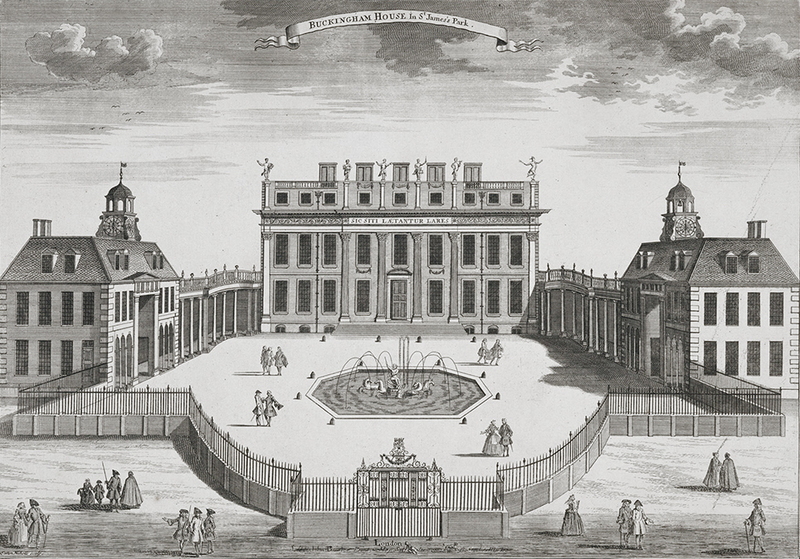 The property in question was Buckingham House, which would later be replaced by Buckingham Palace. George also lived in Windsor Castle and St. James’s Palace. 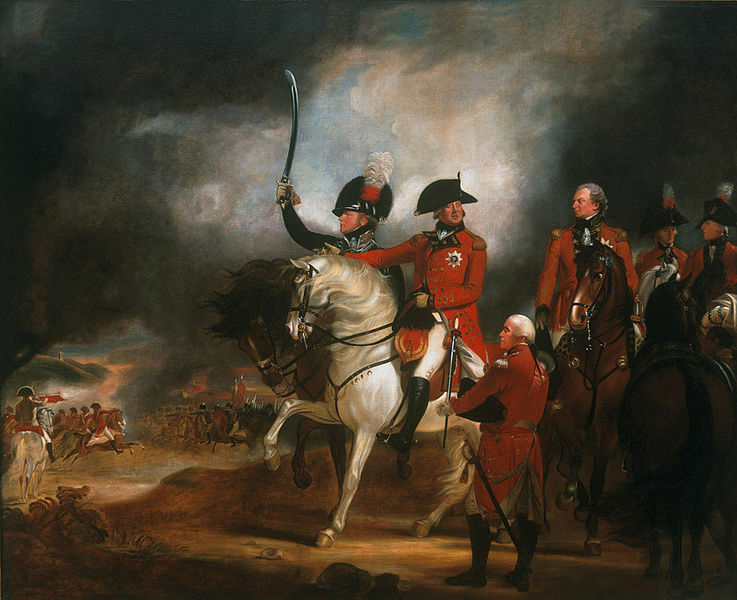 George was born into the Hanoverian dynasty. 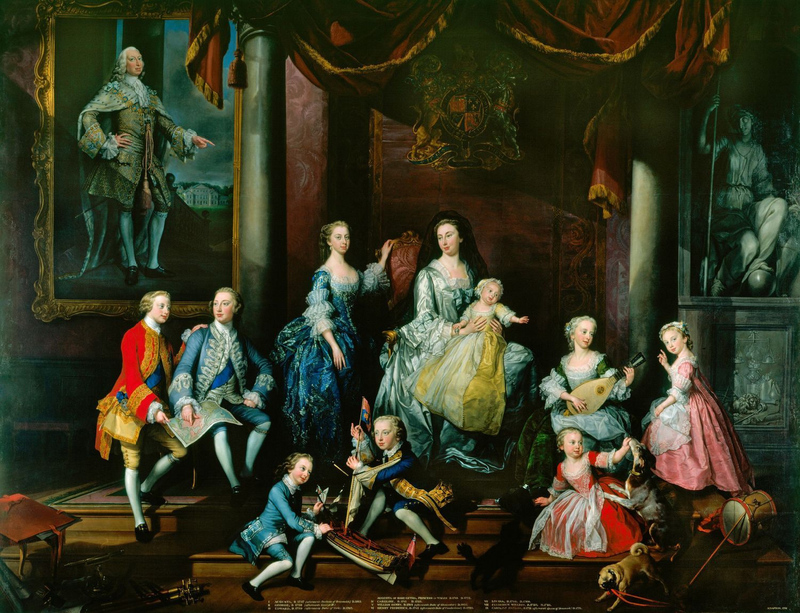 These royals came from Hanover in Germany to rule Britain after the death of Queen Anne, the last ruler of the Stuart dynasty. Subsequently, the persisting idea was that these Hanoverian monarchs were too foreign. George was aware of this notion and he purposefully distanced himself from his German roots, proclaiming that “I glory in the name of Britain” during his accession speech. George was never a traveler at any point in his life. In fact, the furthest he ever traveled from London in his life was a distance of around a hundred miles! George and Charlotte’s children were named George, Frederick, William, Charlotte, Edward, Augusta, Elizabeth, Ernest, Augustus, Adolphus, Mary, Sophia, Octavius, Alfred, and Amelia. That sounds like a heck of a Christmas shopping list! 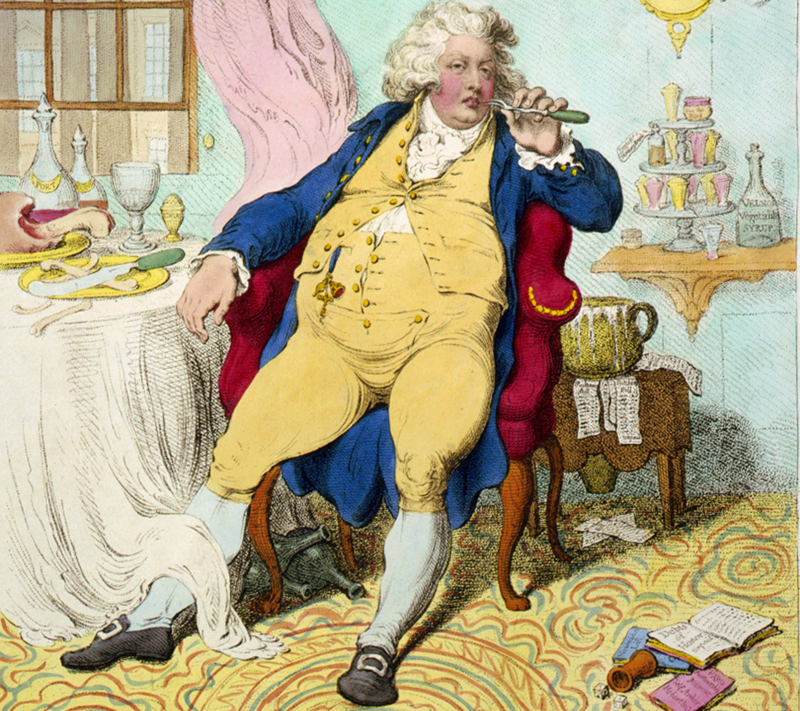 One of the most famous drawings of George is an 1803 illustration where he is holding a tiny Napoleon statuette in his hands and quotes a famous passage from Jonathan Swift’s Gulliver’s Travels. 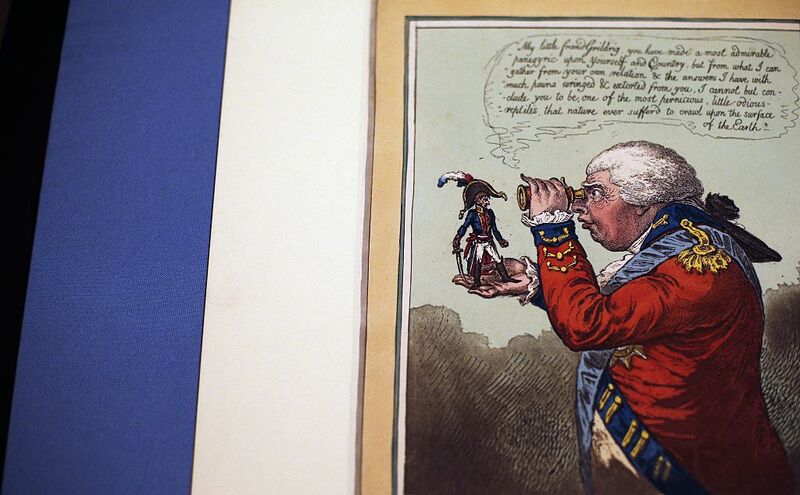 This illustration actually helped spread the British propaganda that Napoleon was unusually short. Unlike his father before him, or his sons after him, George never embarked on any extramarital affairs—as far as we know, at least. By all accounts, his marriage was a happy one; the couple would also have no fewer than 15 children! Thanks to the influence of his mother, George was a deeply moral and devout man. However, George’s brothers were a different matter. 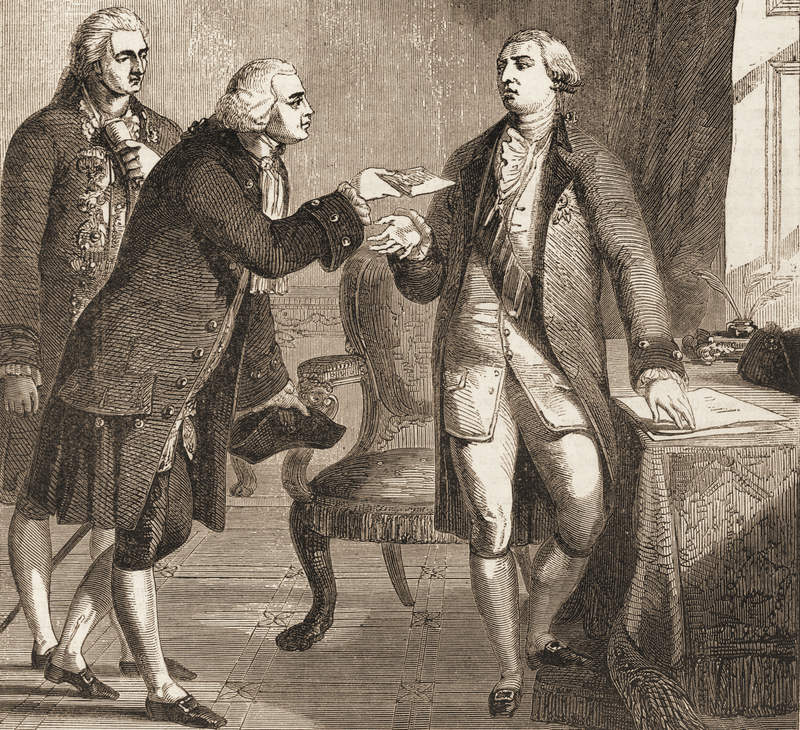 In 1770, George’s brother Henry, also known as the Duke of Cumberland, got caught committing adultery, much to George’s outrage. 28. Will You Let Me Marry?! That was far from the end of George’s spat with his brother, however. In 1771, Prince Henry married a commoner named Anne Horton. 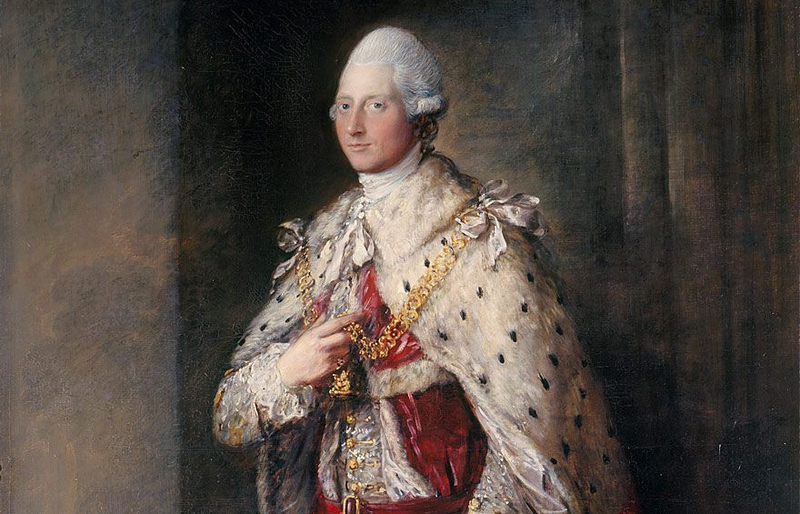 George was so snobbish about this marriage that he had the Royal Marriages Act passed in 1772. This act forbade members of the royal family to marry without the express permission of the ruling sovereign. This law remained in place until 2013! 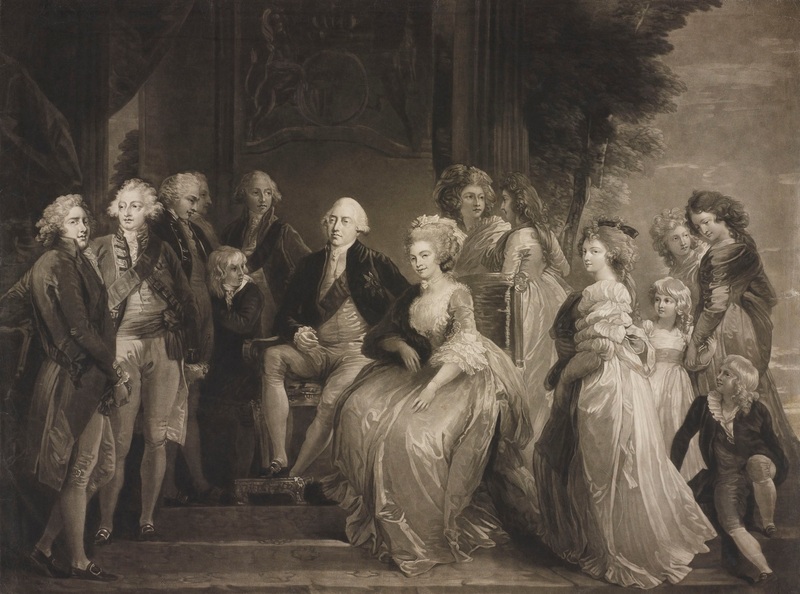 George was greatly admired by his subjects for his strict moral behavior, especially his faithfulness to his wife and devotion to his children. However, his devotion didn’t stop him from being a very strict father. George pushed very hard for his children to emulate his own piety and discipline. Much to George’s fury and shock, however, his lessons seemed only to push his children, especially his sons, to go their own way—but more on that later. 26. Bring Your Surf Boards! 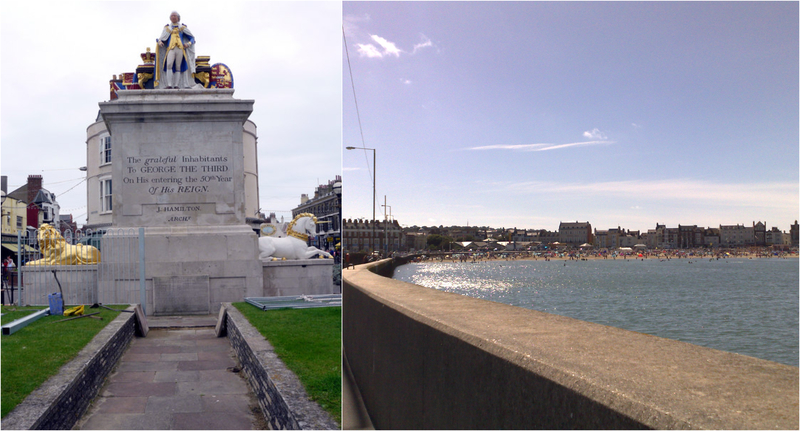 George helped turn Weymouth, Dorset, into one of England’s “first seaside resorts.” He and his family would spend the 1790s taking their holidays in Weymouth. George began to struggle with mental illness, with an episode that flared up in 1788. 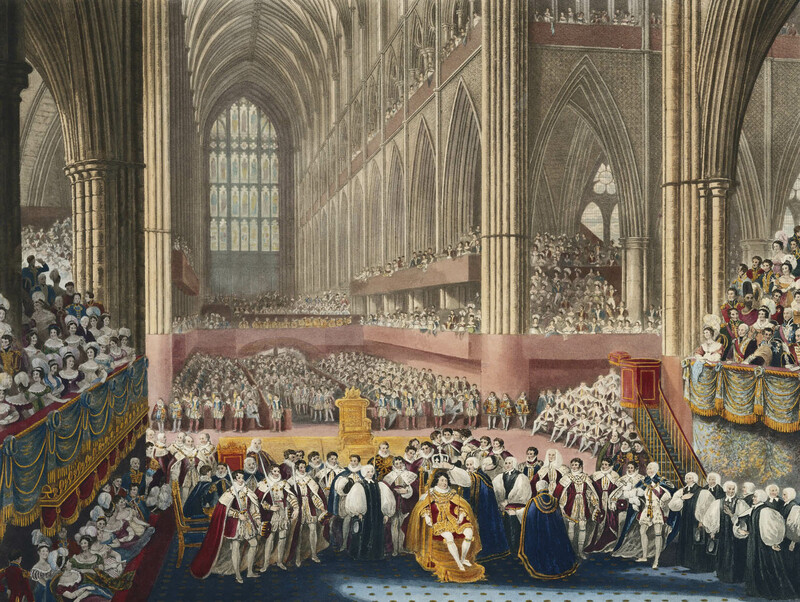 Due to George’s ailing condition, the British Parliament concluded that George’s eldest son, also named George, should act as regent for his father, since he was the Prince of Wales anyway. These measures were suggested in 1789, but George made a recovery of sorts before any bill could be passed that year. 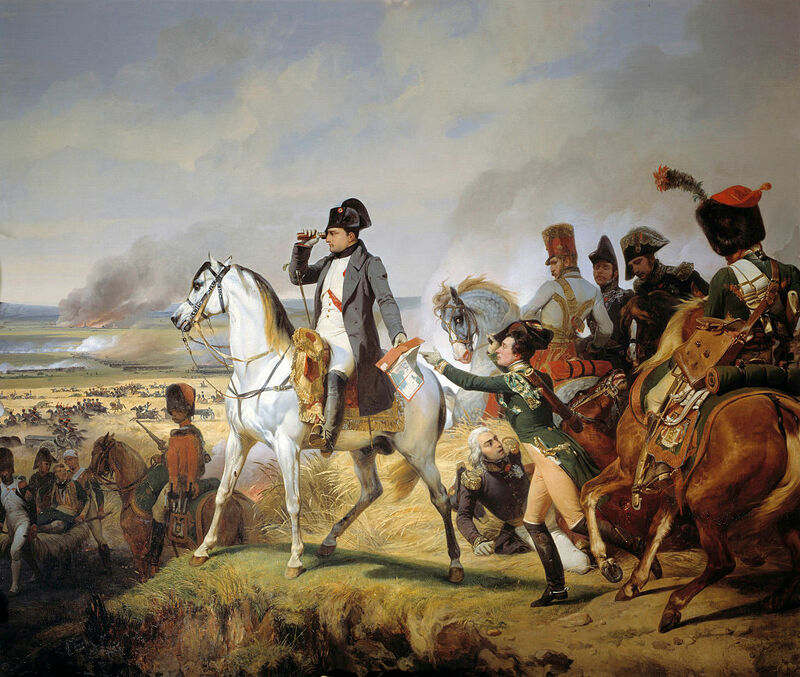 During George’s reign, the French Revolution shocked Europe, only for it to be followed up by the rise of Emperor Napoleon Bonaparte. 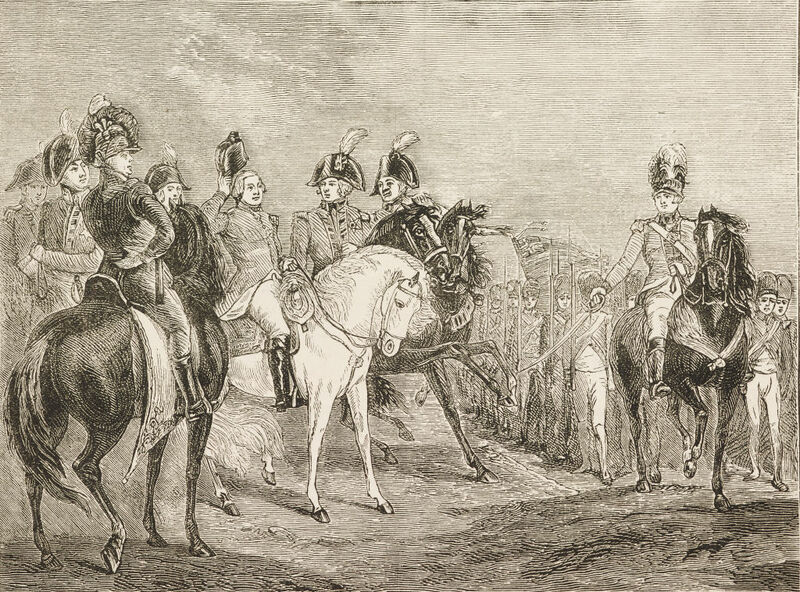 George was incredibly enthusiastic about Britain opposing Napoleon, and he even claimed that should Napoleon invade Britain, he would personally lead the British into battle. Keep in mind that by that point, George was in his 60s and suffering from his famous bouts of madness. History, however, denied George the chance to put his money where his mouth was. 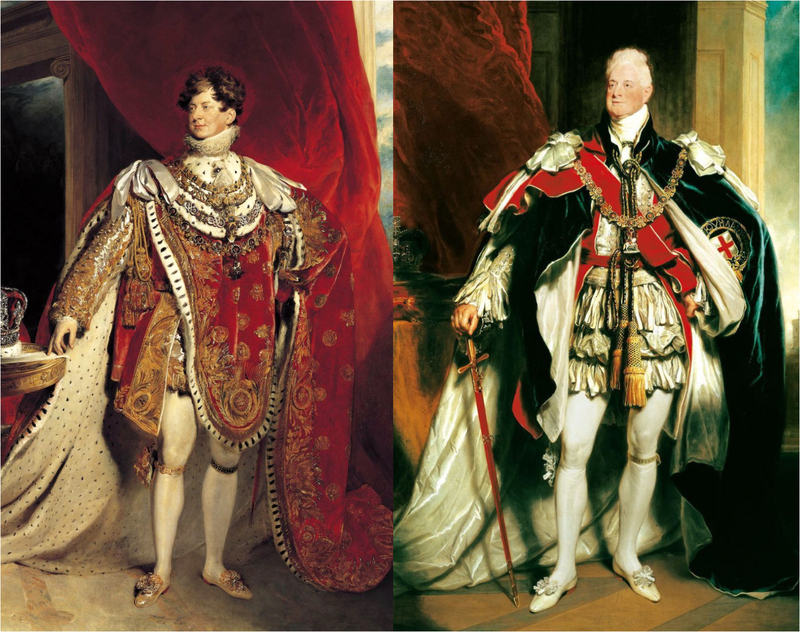 Two of George’s sons would follow their father as king, ruling as George IV and William IV respectively. 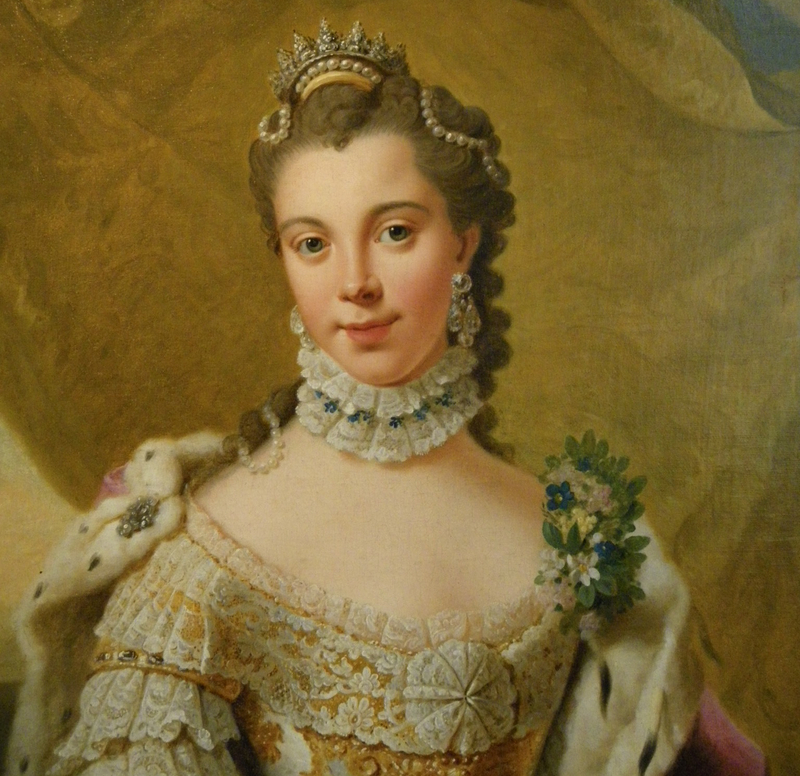 Both died without producing any legitimate heirs, which resulted in the ascension of George’s granddaughter, Victoria. 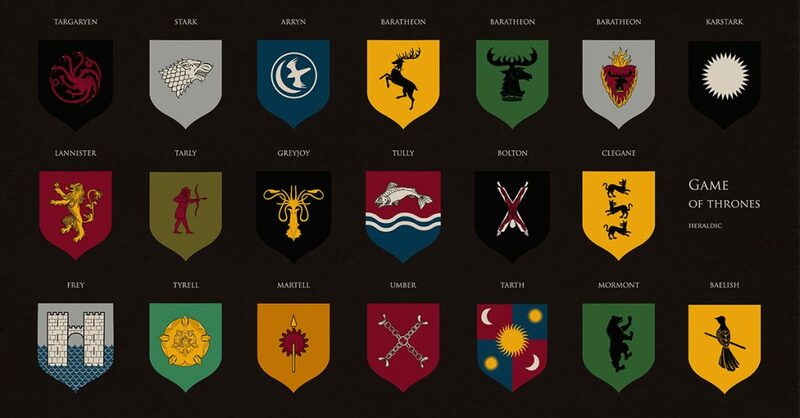 Of George’s many children, four of them died before their father. Octavius and Alfred both died before they were five years old, Amelia died in 1810, and Edward died in 1820. 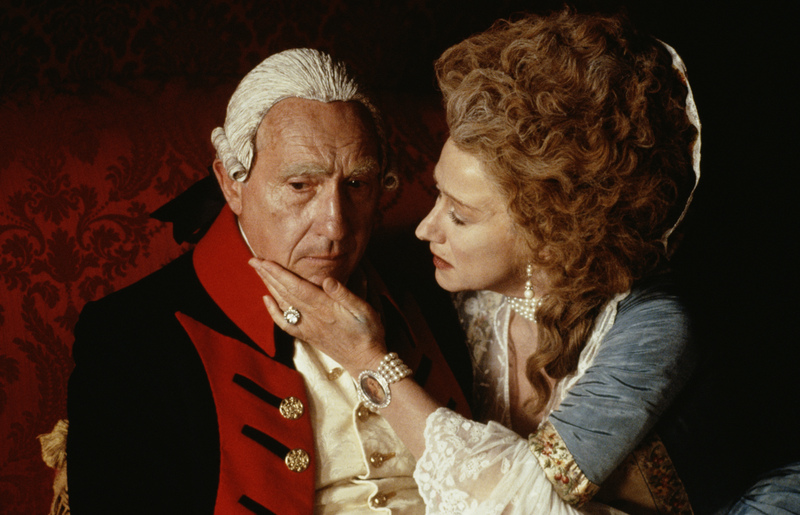 British actor Nigel Hawthorne portrayed George on stage in 1991, only to reprise the role for cinema in 1994. The Madness of King George was a fictional account of George’s later life while his mental illnesses grew to take over his senses. The film adaptation was a financial and critical success, leading Hawthorne to be Oscar-nominated for playing the role. 19. But Can He Sing? 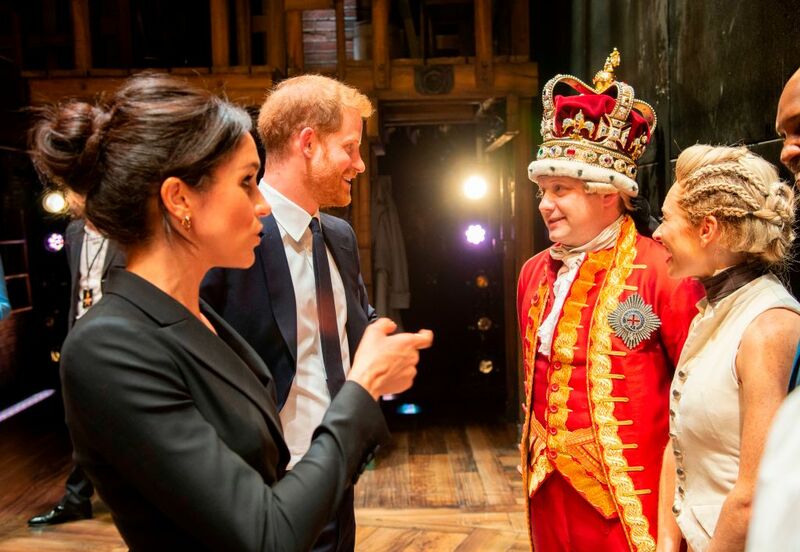 Aside from 1991’s The Madness of King George, there have been a few other famous plays which feature George as a character, with a surprising trend amongst them being their musical genre. In 1969, the musical Eight Songs for a King was first performed, depicting George’s descent into madness. George also appears as a supporting character in the wildly popular 2015 musical Hamilton. 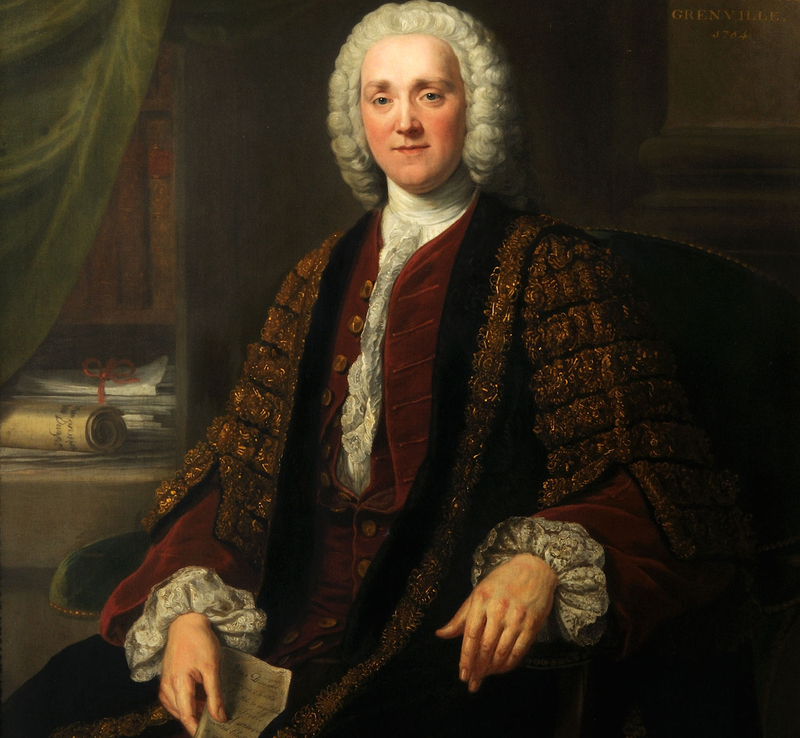 In 1765, Prime Minister George Grenville imposed the Stamp Act on the Thirteen Colonies. 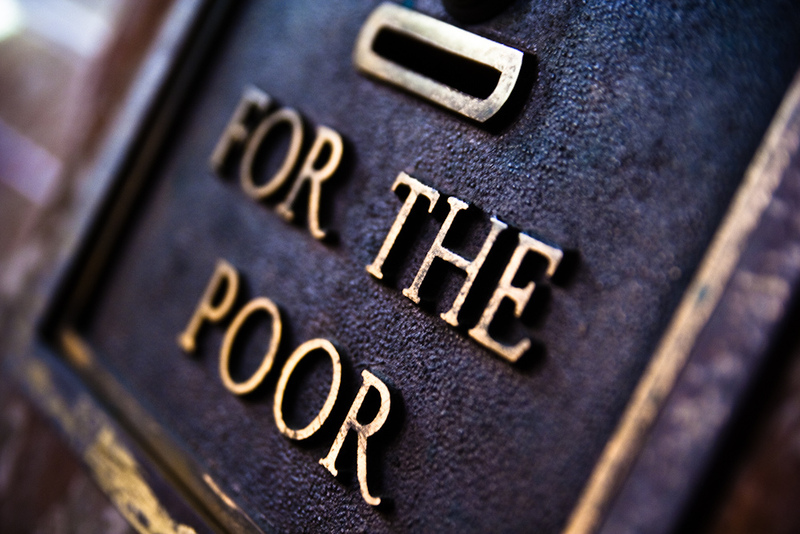 This led to every document from the colonies to be taxed. This stamp duty infuriated many colonies, especially since the people most affected by the Stamp Act—newspaper writers and publishers—were also in the best position for “producing propaganda opposing the tax.” As for the king, he managed to have Grenville dismissed and the Stamp Act repealed. In a case of great irony, the colonists loved George for his actions and erected a statue of him in New York City! 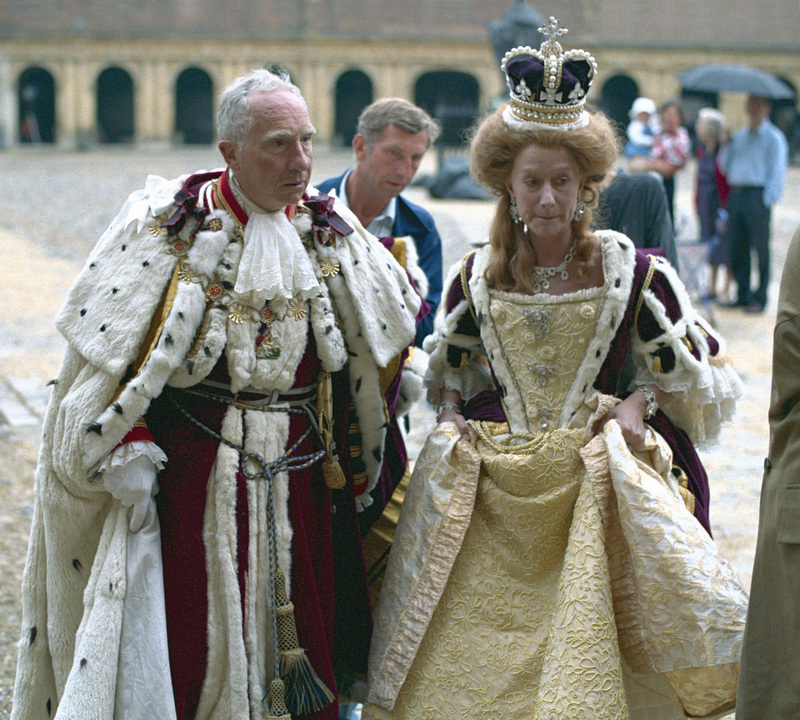 Before George, the English monarchs always claimed to be King or Queen of France. This was a leftover from the Hundred Years War. George was the last monarch to use that moniker. When the Act of Union took effect in 1801, uniting Great Britain and Ireland, George also decided to give up the thoroughly empty title. George wasn’t ungenerous with his personal funds. It’s said that George gave as much as half his personal income to charity, and he also became a patron of the Royal Academy of Arts. 15. We Love You, George! 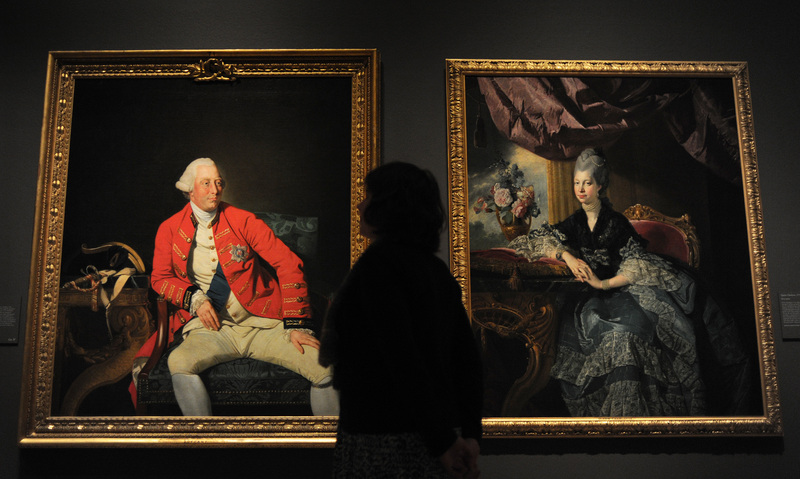 Despite his personal illnesses, George enjoyed high popularity with his subjects. 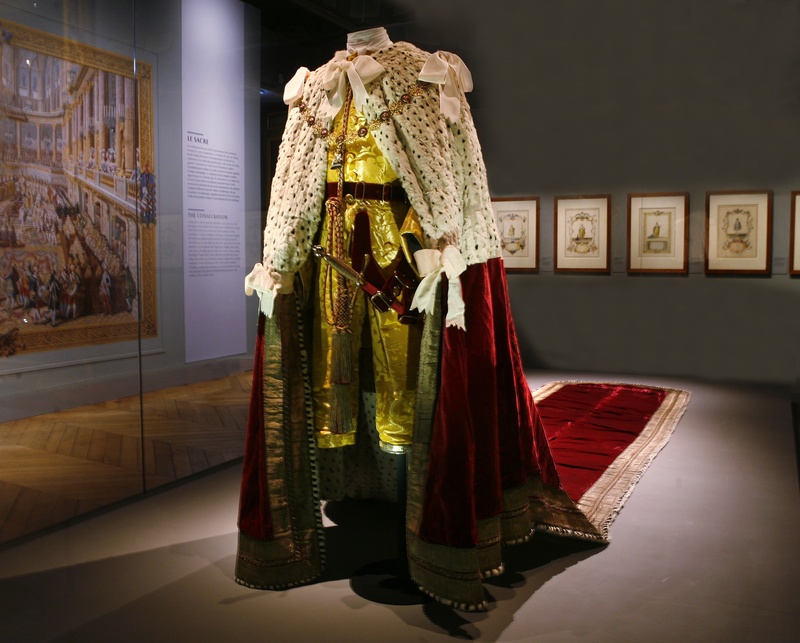 If anything, Parliament’s attempt to install the Prince of Wales as regent in 1788 reflected badly on them, especially when George made his recovery. When it came to his second son, Frederick, George was adamant that he should embark on a military career. He even had Frederick obtain the rank of gazette colonel when Frederick was only 17 years old. Admittedly, George did push his influence on the government when the Revolutionary War began in full earnest. However, as historians have pointed out, George was doing what any nation’s leader would do if a large portion of it was trying to leave. Moreover, George hardly had to force the British into war. The British were fully on board with war until the Americans were joined by France, Spain, and the Netherlands. Once again incapacitated in 1810, George didn’t block or hinder the Regency Act from passing in 1811. 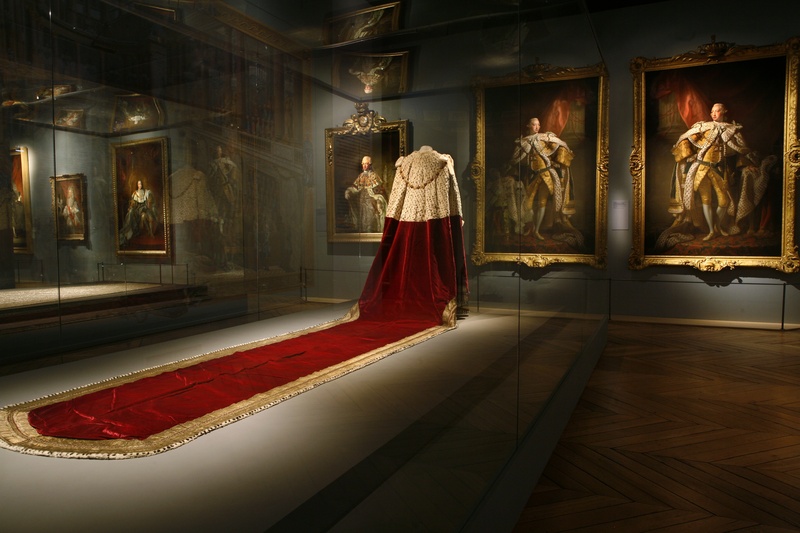 His son, the Prince of Wales, became the regent, and would fulfill that role for the rest of George’s life. 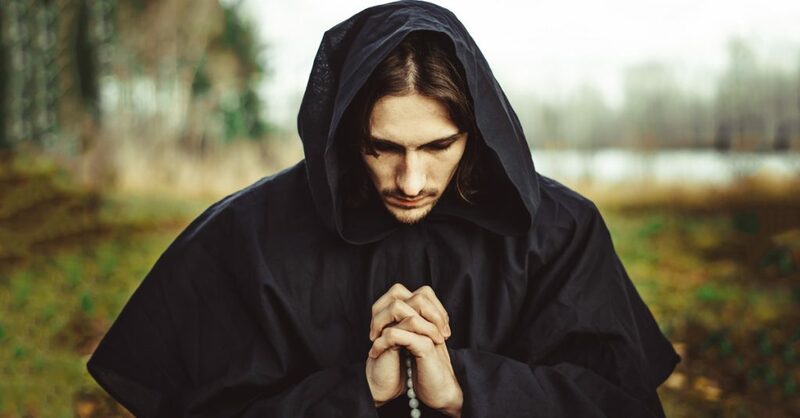 While George was frugal, restrained, and pious, his eldest son was the exact opposite. George Jr., as we’ll call him for now, led a wildly extravagant lifestyle. He spent the modern-day equivalent of $4,748,920.32 a year on his stables alone! It’s no wonder that father and son were deeply estranged. 9. Maybe Hire an Accountant? As if his son’s massive debts weren’t bad enough, George got a bigger shock when George Jr. fell head over heels for a twice-widowed Catholic named Maria Fitzherbert. George Jr. didn’t even bother to ask his father’s permission to marry Fitzherbert—anyone could guess what he’d say anyway. 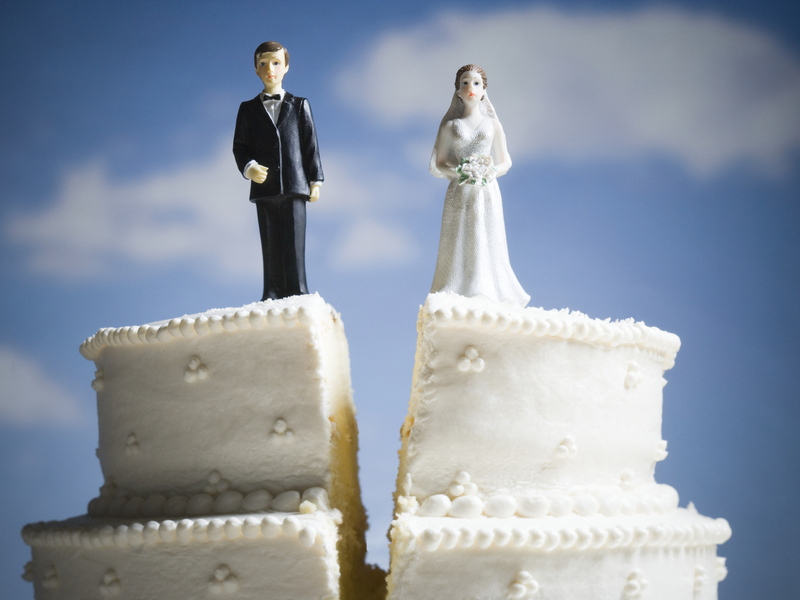 The marriage ceremony that they underwent was considered void from a legal standpoint. Despite that, George Jr. would continue his relationship, even as his legitimate marriage collapsed. None of this behavior endeared him to his dad, of course. Like his elder brother, Prince Augustus would marry without George’s permission. In Augustus’ case, he met Lady Augusta Murray while traveling abroad and eloped with her in Rome. George had his son brought home, but that didn’t stop Augustus and Murray from marrying again Hanover Square, Westminster in 1793. Even after their marriage was considered void, Augustus lived with Murray until 1801, by which time he had two children with her. 7. You Broke My Heart, Frederick, You Broke My Heart! Not even George’s favorite son, Frederick, was able to avoid the sort of scandals which George tried to prevent his sons from incurring. Frederick was in perpetual debt due to a gambling habit—or addiction, depending on who’s talking. 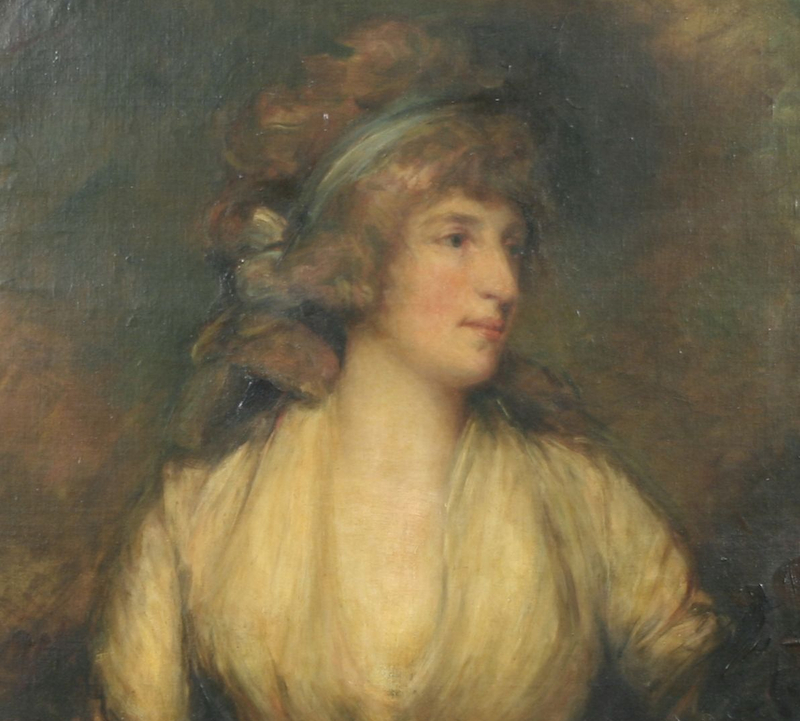 Not only that, he resigned from his position as Commander-in-Chief of the British Army in 1809 due to a revelation that his mistress was selling army commissions in Frederick’s name. 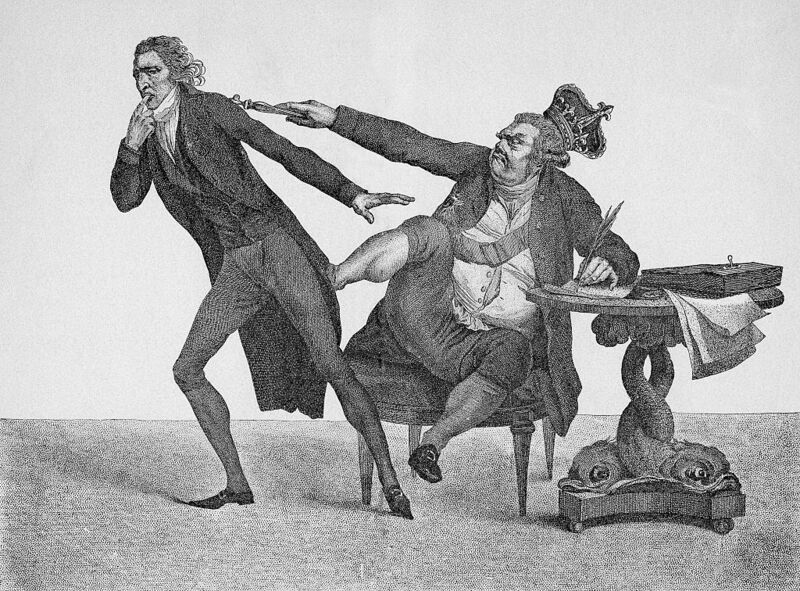 Even though Frederick himself was acquitted of any wrongdoing, the bad press was bad enough that he resigned anyway. 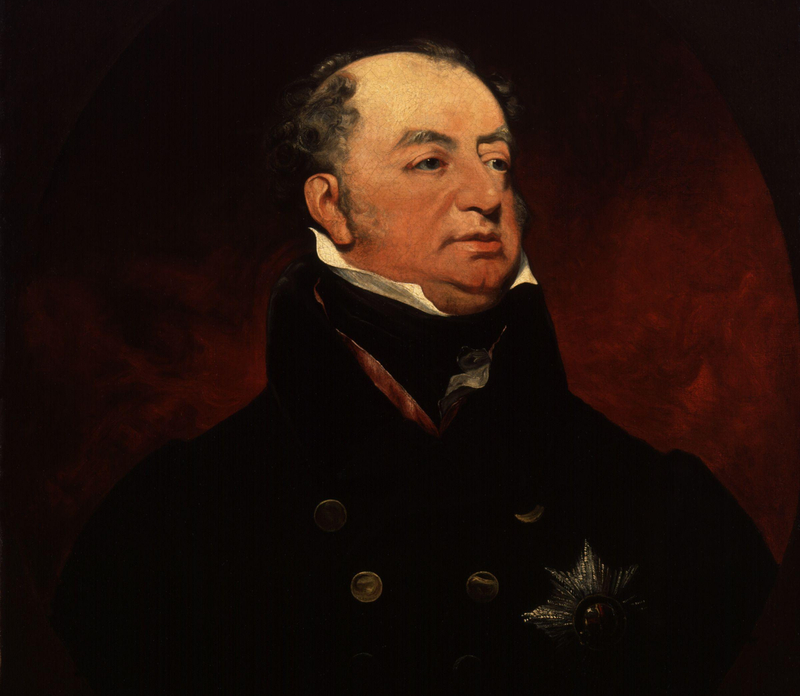 George died at Windsor Castle just after 8:30 pm on January 29, 1820, with his favorite son, Frederick, at his side. It was less than a week after the death of George’s son, Edward. It remains unclear what sort of mental illness George suffered from in the latter part of his life. Based on his behavior, people have suggested bipolar disorder or porphyria. 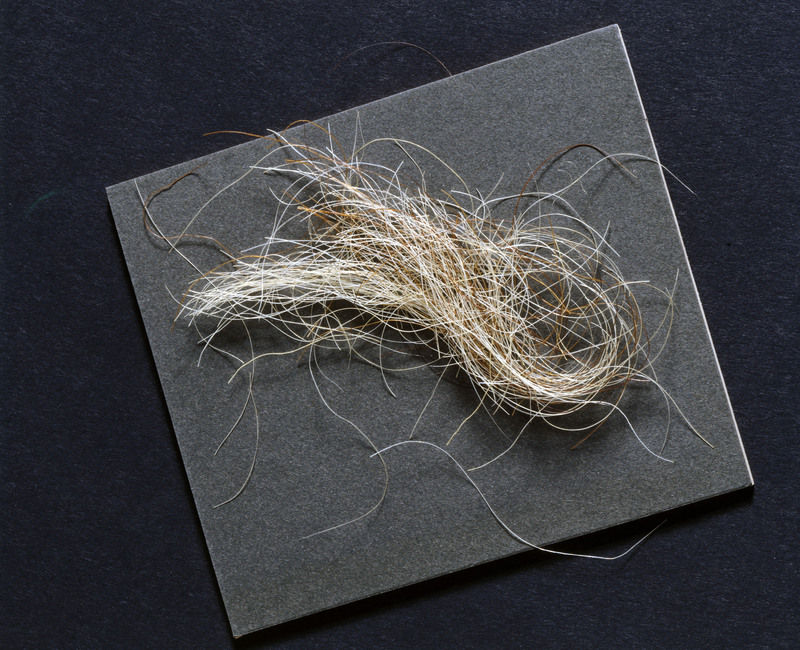 In 2005, one of George’s hairs was examined, revealing a surprisingly high amount of arsenic. What caused this level of arsenic to be present is unknown, but it has been offered as a cause of George’s mania. 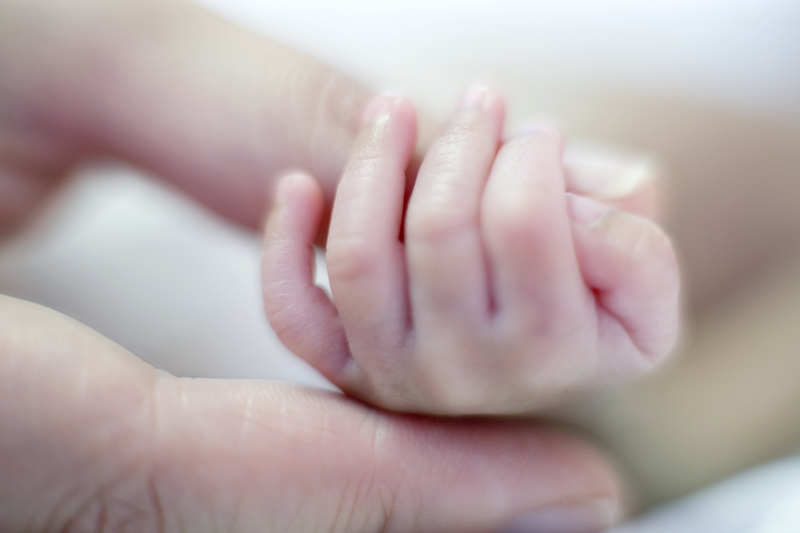 When George was born on June 4, 1738, he was actually premature by two months. Infant mortality back then meant that his parents were very worried that George might die. 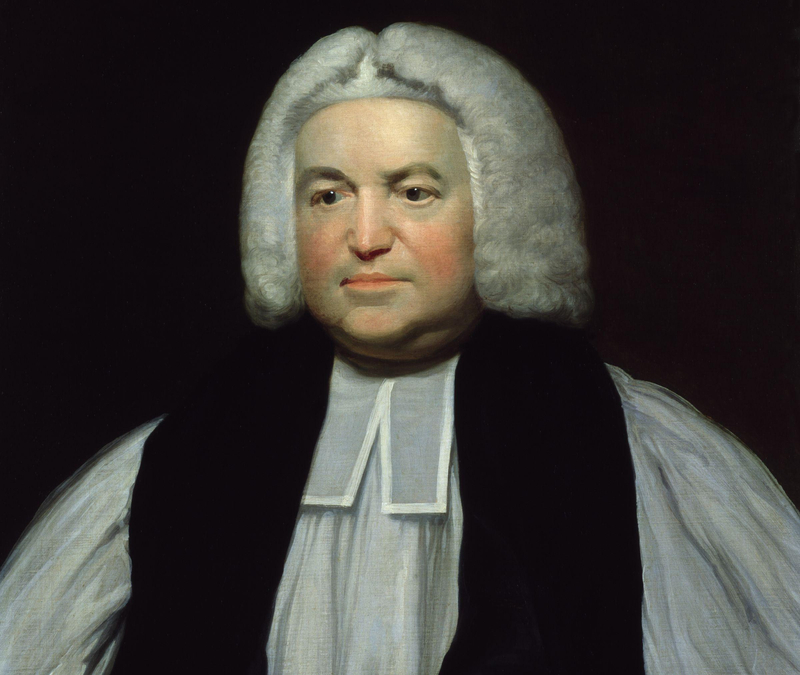 As a result, he was baptized that very same day by Thomas Secker, the Bishop of Oxford. When George’s health had significantly improved, he was publicly baptized by Secker a month later. Shortly after George was crowned King, his mother’s confidant, Lord Bute, led the Tory party to victory in Parliament and became Prime Minister. However, rumors spread that Bute had been having an affair with George’s mother. After one member of Parliament published an inflammatory newspaper, he was forced to flee England to escape charges of seditious libel. Lord Bute would resign just a year later anyway, presumably because of one too many mama jokes. 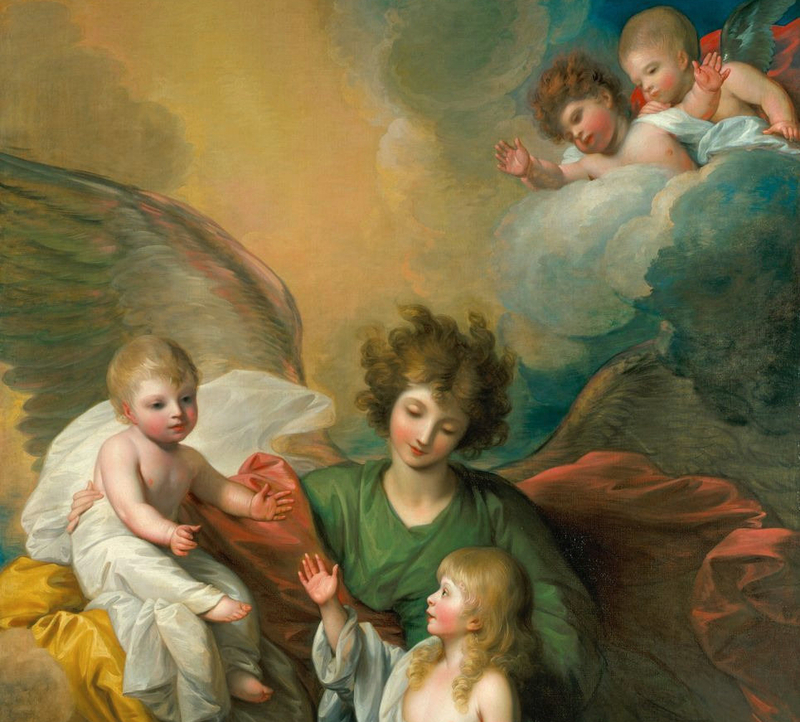 George didn’t make it a secret that his youngest daughter, Princess Amelia, was his favorite child. 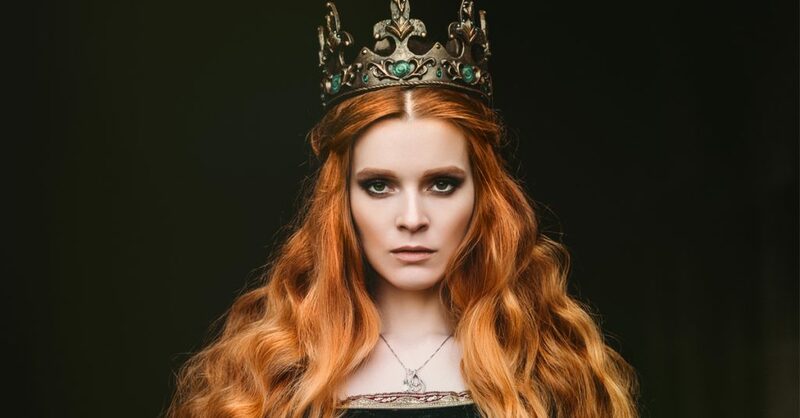 After her tragic death at just 27 years old, and during George’s bouts of insanity, George would often beg for her presence, speak to her as if she was in the room, or he would claim that she was visiting family members in Hanover. By 1810, George’s condition had worsened immensely. He was suffering from rheumatism and cataracts left him nearly blind. After the Regency Period began in 1811, George developed full-blown dementia, was blind and deaf, and was unable to comprehend when his beloved wife died in 1818. Perhaps it was a kindness when George himself followed her two years later, dying in 1820. In the final few weeks of George’s life, to add insult to injury, he even lost the use of his legs. Quiz: How Much Do You Know About Horror’s Scariest Monsters? 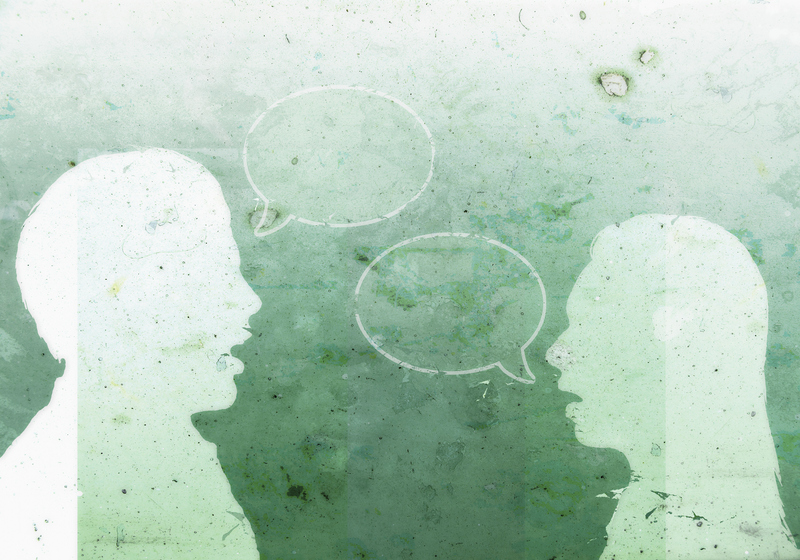 Quiz: How Much Do You Know About Human Attraction?